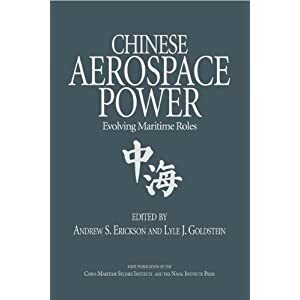 Gabriel B. Collins and Andrew S. Erickson, “Tanking Up: The Commercial and Strategic Significance of China’s Growing Tanker Fleet,” Geopolitics of Energy, Vol. 29, No. 8 (August 2007), pp. 2-11. 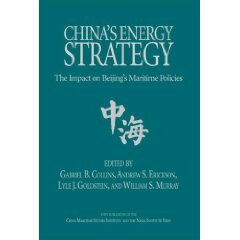 This article analyzes China’s plans to control the entire oil supply chain in order to guarantee its oil supply during times of crisis and probes the underlining factors that shape China’s energy policy and, in particular, its energy oil tanker fleet plans. China’s share of total world oil consumption will likely more than double in the next 15 years. 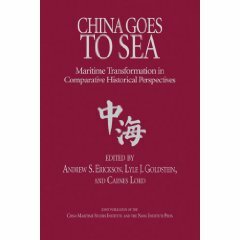 Despite likely future increases in oil imported overland, China will continue to rely on maritime transport for the majority of its increasing oil imports. In 2006, 76 percent of Chinese oil imports came from the Middle East and Africa. Driven by concerns of energy insecurity, China’s leadership desires control over the entire oil supply chain in order to guarantee its oil supply during times of crisis. Accordingly, it advocates building a national tanker fleet capable of hauling up to three quarters of Chinese oil imports by 2020. In China’s energy sector, national, provincial, and commercial actors often pursue their interests in ways that support their own objectives, sometimes at the expense of Beijing’s overall goals. Since China has lacked an Energy Ministry since 1993, it is unclear to what extent larger objectives are conclusively defined and coherently enforced. Tanker operations driven by economic opportunity are more profitable than those driven by state directives. Moreover, Chinese shipyards’ and shipping companies’ commercial deals with foreign operators are likely to further integrate Chinese firms into the global oil shipping sector. 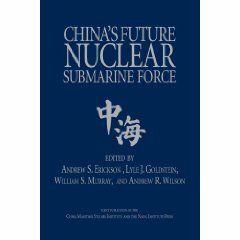 As Chinese naval power and oil import dependency rise, however, security-minded factions in China’s leadership may use the country’s resource needs to justify both more centralized coordination of energy security policy and further pursuit of blue water naval capabilities to support such policy. The authors conclude that China appears to be profiting from shipbuilding and tanker operation during peacetime, while attempting to hedge its bets against future threats to oil shipments. They warn that such measures could, however, backfire if they led to sustained military buildup and economic mercantilism in a way that challenged the core interests of other Pacific powers and thereby precipitated corresponding reactions on their part. China’s leaders would do well to understand that the security of their nation’s maritime oil transport lies in the inherent difficulties facing any force trying to disrupt it, rather than on any other single factor.